This is what my bed looks like when I’m celebrating grad school acceptance. 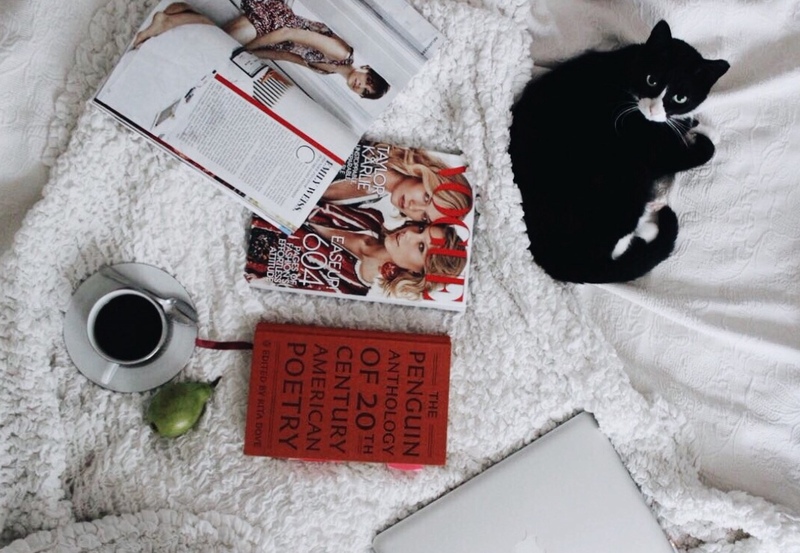 For the record, it’s okay to love fashion magazines and modern poetry. To stay up late watching reality television and writing panels on Youtube. To plan trips to see old buildings and to plan trips to hear authors, poets, musicians open their mouths. To be a coffee person and a tea person. Or a graduate who misses class. I’m celebrating something I’m proud of (like really proud of!!!!!) with green juice and these cookies. Do both.